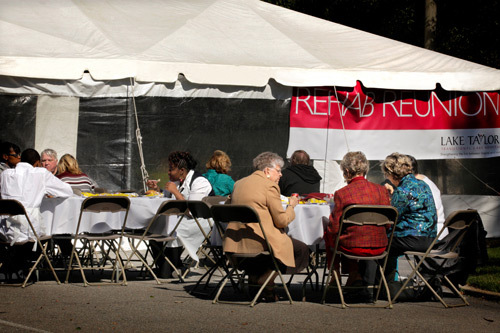 On Thursday, October 20, 2011, Lake Taylor Transitional Care Hospital held its 11th Annual “Rehab Reunion” for former participants of the inpatient rehabilitation program. 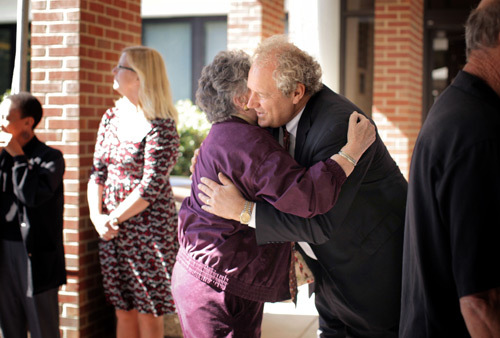 Approximately 350 former rehab patients and their families returned to Lake Taylor Transitional Care Hospital to reunite with each other as well as LTTCH nurses, therapists and other relevant faculty. 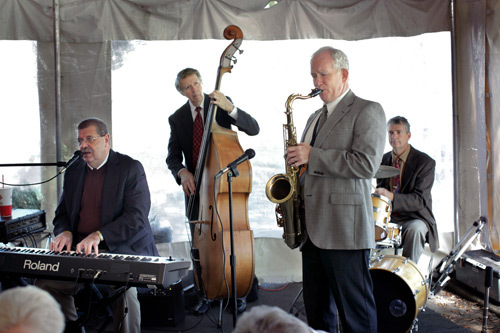 A BBQ lunch was served and a band was also present to add to the celebration. Many of the former patients present for the reunion have suffered from neurological disorders, strokes, spinal cord injuries, paralysis, arthritis, hip and knee replacement, and other various ailments. 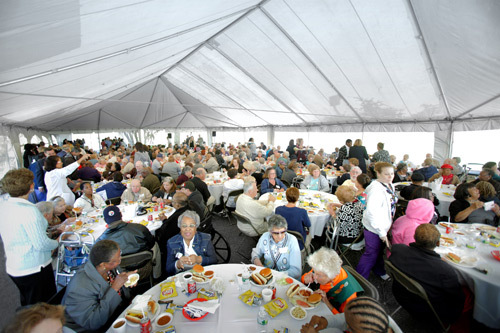 The purpose for the gathering is to celebrate the group’s successful return to their homes in the community following their stay at the facility.